1. Our first question is from California: "I recently read a story about an eleven-year-old boy who killed himself as a result of the non-stop bullying he was subjected to on a regular basis. This story reminded me of my childhood fears and the feeling that the only way out was suicide. What would you, the Guides, say to children who feel that their only way out is suicide, to help them see that there are possibilities other than suicide?" 2. This is another question from California: "When I think about someone I love who has died, all I feel is the pain of their loss. It is hard to feel the larger love from their soul. How can we feel the soul love?" 3. This question is from the State of Washington: "What can, or does, prayer change in life?" 4. This question if from Minnesota: "In a Reading at the 2011 Retreat, you mentioned that each cell in the human body has a consciousness. Would you discuss this in more detail, and tell us how this is important to our life, and to our healing?" 5. This question is from California: "Throughout the ages, chanting, song, sound, music have been used in healing, meditation, focusing energy, and in the expression of beauty and creativity. I am curious about the power of sound. Would you talk about healing through sound, especially through vocalization, as in singing and chanting, for individuals, for groups, and for the planet? You said in a past Reading that 'if everybody on the planet would sing together, healing of the air could happen.' Would you expand please?" 6. 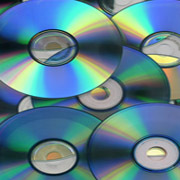 And for our closing, since this is first month of 2012, and since there have been some dire predictions for negative events that are supposed to happen in the year 2012, would you tell us something about what we can expect to unfold on earth this year, and what can we use for an attunement for the coming period? 1. February traditionally contains Valentine's Day. Would you talk to us about love? Of course, it is the theme of most of your teachings. What could you tell us new about love? 2. This question is from Minnesota: "Steve Jobs was truly a master innovator of digital technology, and he seemed to have gone a long way toward mastering both the physical and spiritual in his life, while also helping humanity. Was there any higher reason that he left this planet at such an early age, and what can you tell us about him?" 3. This question is from Missouri. The Questioner asks: "I have a question about quantum physics and spirituality. It seems like there are new technologies being developed globally that are in line with evolving in a positive manner with our planet and our best interests in mind. When the doors open to such ideas, it seems they spread like wildfire in the 'quantum field,' and others around the globe find similar inventiveness. In this field, I have listened to online presentations about inspirational ideas for replacements for automobiles, and other such advancements. There seems to be a powerful potential to create from the place of brilliant imagination that Einstein espoused as integral to problem solving. Would you tell us how to tap into this creative power that people in the quantum field are exploring?" 4. This question is from Virginia: "Some spiritual books deal with 'ascension' and 'Ascended Masters.' What is ascension, and who or what are the Ascended Masters? Also, would you give us a method to assist our process of ascension?" 5. This question is from California. The Questioner writes: "I recently read a selection from Ron's book, Reflections, about who our spirit guides are. From one of the Guides' Readings, this was given in the book: 'As we have pointed out, many souls have mastered earth to such an extent that they no longer desire to project a portion of themselves into human form. They have begun to create their own non-physical worlds. However, their love for human life prompts them to offer themselves as Guiding Souls for presently living human beings.' When I read this, I felt a sense of sadness, or even fear, that I have been left behind, similar to as if I had done poorly in school, fallen behind in my lessons, and am being left behind a grade-or several! As I read, I began wondering why I haven't mastered life. Did I get a late start? Am I a difficult case, a slow learner, or what is the problem that has left me still in elementary school, so to speak?" 1. Our first question is from Minnesota: "Some places on earth are said to be focuses of spiritual energy. One of these is Machu Picchu in Peru. Also, in a study group member's personal reading, there was an implication that Machu Picchu was somehow connected to Atlantis. I think you've previously said that those who survived the destruction of Atlantis set up sites elsewhere. What can you tell us about Machu Picchu, both as a spiritual energy focus point, and, its connection to Atlantis"? 2. This question is from Oregon: "In recent news stories we have been hearing that scientists have identified planets which they think may be capable of supporting human life. They speculate that perhaps people may be able to someday live on one or more of these planets. Since they are extremely far away from the earth, and we don't have the technology to be able to travel to such distant planets, this possibility seems unlikely for a very long time. Will it ever be possible for human beings to travel to, and live on, other planets?" from doing my new habit on a certain day, such as an appointment, bad weather, a sore finger, and so forth. Then, the new pattern that I was enjoying so much is broken. When it comes time to get back to it, I find I don't do it anymore at all. I am not looking for excuses not to do it, but the pattern is broken and I end up going days and weeks without getting back to it, and then at some point it's gone. This seems to be a deeper thing than just an interruption. Would you give me some insight or help on this?" 4. This question is from Quebec, Canada: "Of all the possible scenarios, God chose to create a world where all its inhabitants must destroy and eat other life forms in order to survive, resulting in extreme cruelty, in wildlife and in human life. This aspect of creation seems quite mean and malicious, as if coming from the mind of an evil creator. Since other options could have been put in place , how do we reconcile a loving God creating such a world of hardship?" 5. This question is from California: "When we die, will anything we want to know be revealed to us, or are there some things that will take higher evolution or understanding? Will we understand the hidden reasons for the events of our lifetime just lived?" 1. Our first question is from Maryland: "I have heard it said that we generate and listen to sixty-thousand thoughts each day, eighty percent of which are negative. And, since negative thoughts lead to negative emotions, how can we best 'side-step' the negative thoughts? Some people seem to be very good at this, and are able to hold an objective view regarding what is going on around them, and the thoughts going through their heads, while others of us tend to be consumed by, and unable to extricate ourselves from, the reactions caused by our negative thinking. It is as if we get stuck and consumed in the negative thoughts, like being stuck in the mud. Would you please help us understand how to best regard our negative thoughts and resulting emotions, and be more skilled at 'watching them drift by down the river,' rather than 'getting in the boat and riding them downstream?'" 2. This question is from Oregon: "You have often spoken of the temporary nature of human negativity, reminding us that there is no badness in earth, and that we have lived and died many times with no harm to our souls. Yet, in some situations, even though the length of time that an individual may experience a very painful physical or emotional event may be relatively brief, the depth of the pain may be excruciating. For example, those who have been wounded on the battlefield, in car accidents, or who have lost a loved one to death, may continue to experience great pain for the rest of their lives on earth. In our love for our own children, we often feel that we would do almost anything to spare them from this type of pain. How can our souls who love us allow us to bear such experiences in earth life? Is there a purpose here that we don't understand?" 3. This question is from Ontario, Canada: "We hear of people being extremely cruel and heartless, showing total indifference, even rejoicing in the suffering of others. We also hear of people who are very caring, whose goal in life is to be of service to others. Is this the purpose of life on earth, to evolve from evil to godly attributes?" 4. [Susan] I'm not quite sure what the question is here but as you were describing that perfect existence in the garden with beauty and everything you needed, it made me wonder: Is our mass communication contributing to the individual experience of negativity, angst, even ill health? Because even though a person might be living a relatively peaceful life, with the mass media and knowledge of every horrible thing that goes on in every corner of the earth, unless you turn off the TV, you're affected by the negativity of earth. Is that sort of exponentially contributing to more negativity? 5. This question is from Virginia: "What happens to unfulfilled desires upon the death of our physical bodies? Do souls take them up again with the next incarnation, or a later one? Or, are these desires 'retired,' as it were, with the personality that had them so that the new personality can have its own unique experience of desire and achievement?" 6. This question is from California: "In a series of Readings about Jesus and the Christ Force, you said that the soul that lived as John the Baptist developed through human evolution almost as fast as Jesus' soul. This made me wonder if there is some inherent difference in the nature of these souls, and perhaps the souls of Mary and a few others, as compared to the souls of the rest of us who are developing human evolution at what appears to be a slower pace. Would you speak about this?" 3. Many of us are spiritual humanists and have believed that we can resolve all problems by communicating logically and with love. But, what about the case of a terrorist type of person who has strong beliefs that God wants them to kill innocent women and children to further their cause. Is this a case of needing to fight fire with fire in order to preserve our own life? Some people, particularly in the military, believe that we need to hunt such people down and kill them before they kill us. Is there ever justification for murder? 6. Would you please close with an attunement for us to use this month. 1. Our first two questions and answers are shared, with permission, from the personal Readings of two Study Group Members. 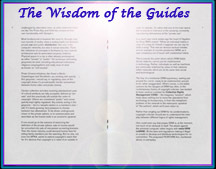 They were inspired by the answers, and we thought that everyone would relate to what was said by The Guides. The first question is from California: "The Psalmist in the Bible said, 'Behold how good and pleasant it is for the brethren to go out together in unity.' Would you please speak about our connectedness to God and to each other?" 2. The second personal question is from Washington State: "If my soul knows what I'm thinking and feeling at every moment, and knows what I need, and knows that there is help my soul could provide, is it important to make a special request, or to entreat my soul to help me?" 3. This question is from Maryland: "In World War II, many people deployed to the war zone and stayed the entire time. They did not rotate home after a year and then return a year later after a break. At the present, Service members rotate, but it seems like more of them are experiencing Post Traumatic Stress than ever before. What is causing this struggle, and how can we help people improve and come to terms with what they did and what they saw in war?" 4. Follow-Up to Question Three: You didn't quite address, what is the best way to help a person who is suffering from Post-Traumatic Stress from war? 5. This question is from Quebec, Canada: "Some individuals who seem quite honest and sincere claim to have been abducted by beings not of this world. What are we to think of this? Are there some visitors from other planets, or other dimensions, and if so, what is their purpose?" 6. This question is from Virginia: "You have said that, outside of earth, everything, all experience, is a blissful, totally wonderful, all-encompassing love. How do you, the Guides, define what is an earth experience of negativity, versus an experience that is outside of earth? Is it that an experience is only perceived by humans as negative when they are 'alive' on earth, and that the same experience after they die would not be interpreted as negative from the new vantage point outside of earth? Are there events and experiences occurring 'outside or earth' that if they occurred 'inside of earth' we would perceive them as negative? Would you please explain how this works?" 7. This is my question and was prompted by the experience of many of our clients whose loved ones have died. We have asked about this in the past, but we would like some further clarification. "Why is it that feeling and sensing the presence of a deceased loved one seems so difficult, especially for those of us who have spent a lifetime in spiritual pursuits? I guess we expect more of ourselves having spent so much time focusing on the spiritual. Would you address this yet again please?" 1. Our first question is from California: "Why do we resist change so much, as individuals? In areas where change would be positive, such as in thinking patterns and attitudes, weight-loss, money issues, and so forth, why do we sabotage ourselves more often than not? We will spend days, weeks, months, even years striving to change a behavior. And, even though it is starting to work, we stop doing the changes and sometimes give up completely, throwing ourselves back to 'square one'-convincing ourselves that there is no hope or possibility of success. Would you please suggest steps that we can follow, possible attunements, and activities as individuals or as a group that would inspire us?" 2. This question is from Vermont: "It appears that many of us have made false interpretations of our personal experience and turned them into beliefs, then patterns, and finally habits of ways to respond to life's circumstances. From your suggestion in a recent Reading that we 'spy on ourselves,' I discovered that I am often rushing ahead to accomplish things, judging others in my thoughts, trying to look good or seek approval, and worrying about what others might think of me. Would you speak of ways to unravel these habits or patterns so that we may live more freely, creatively, and without worrying so much about taking risks and more passionately expressing ourselves in the world?" 3. This question is from New York: "For many people, the experience of flying in our dreams is an exhilarating and delightful experience. Is there a deeper interpretation of flying in our dreams? Is there a way to create that experience more often?" 4. Would you address this part of the question: "Is there a way to actually create that flying experience in the dreaming state more often?" 5. This question is from Florida: "What can you tell us about the spirituality of the early Native American Indians that would inspire us today?" 6. This question is from Maryland: "A current interest in our Western culture is the practice of Buddhist Mindfulness, whereby the meditation period is focused on following the breath, or body sensation, in order to disengage from entering our thoughts. This practice has apparent benefits to health, and reduces stress, but seems quite different from what you encourage us to do in making an 'attunement.' Would you please compare the two practices and describe the benefits of each?" 1. Our first question is from California. "Health care in the U.S. is a big part of the national economy, and is on the minds of many people. Keeping someone alive when severely incapacitated or ill, especially the very old, is a very big part of the system and budget. We seem compelled as a society to keep people alive at whatever cost. While not wanting to seem callous, I at times feel that we could use the resources better to educate our youth, or address our environmental and energy issues, or other issues that benefit the society as a whole. How should we think about this issue of the preciousness of life of every individual, and the welfare of the society as a whole?" 2. This question is from Massachusetts: "It seems that nowhere in old religious writings is there importance given to animal life on earth, other than to feed man, or to be sacrificed to the gods. Many of us animal lovers see God's perfection in them, and we sense the presence of a soul in them. The type of teeth that humans have, and the human digestive system, do not qualify humans as a meat eater, consequently, there is no need to feed on animals. Humans did choose that option for survival purposes. Another aspect is the order displayed in the animal kingdom that contrasts with the chaos often created by humans. My question is, what is the real purpose of animal life on earth?" 3. This question is from New York: "Modern psychology suggests that geniuses like Albert Einstein, Isaac Newton, Leonardo de Vinci, and others, would today be diagnosed as 'Highly Functioning Autistics,' based on their erratic behavior, tendencies to isolate themselves from society, and being overly-focused on their fields of interest. Some now consider genius to be a form of mental dysfunction. Following that premise, a monk who is isolated from society could also be considered as mentally afflicted. Is the modern psychological study of the human psyche becoming some kind of hindrance to the opening to the unlimited possibilities of human experience on earth?" 4. This question is from Virginia: "There are many spiritual traditions that teach that 'enlightenment' is the highest achievement a human can aspire to. They also say that achieving enlightenment is the only way to escape the cycle of physical birth and death. Would you comment on this? If enlightenment is not the highest achievement for a human to obtain, then what is? And what impact does enlightenment have on whether or not we reincarnate?" 5. This question is from Quebec, Canada: "Scientists see the phenomenon of 'Multiple Personality Disorder' as the patient's personality having 'split' due to trauma in childhood. However, when observing the phenomenon from a spiritual, rather than scientific perspective, it looks like what happens to a Trance Medium channeling a spirit or guide, and not being consciously aware while in trance. In the same fashion, the Multiple Personality patient's main personality is in dormancy while one of the other personalities manifests itself. The behavior, gestures, voices, speech, of those different personalities are so out of character with the patient's usual traits. What is really going on here?" 1. Our first question is from Virginia. The questioner writes: "In a previous Study Group Reading you mentioned in passing that our present world is one of extraordinary complexity. As an incarnated soul, I can assure you that this really understates the experience! Modern society is incredibly fast paced, and feels to me like it's only getting faster. There is an ever increasing expectation to master both information and skills of greater complexity in order to thrive and survive in one's life. There is just not a whole lot of time to get everything done, let alone find time for personal, creative expression and quiet reflection. Was there ever another time on earth where life was this complex? If so, what was the outcome? And finally, how can we keep ourselves in balance while still meeting these outside demands?" 2. This question is from Missouri, and the questioner is a woman: "I know many women who are profoundly disappointed and deeply dissatisfied in regards to relationships with men. They seem unable to find their own authentic voice to pinpoint intimacy needs. This has many women confused and frustrated. How does this relate to the traditional male power structures? I think of the many political references lately regarding rights of female reproduction and how desperate they seem. Why are there not more marriages and relationships that are deeply satisfying to women? Would you help us understand how women in general can attain more satisfying intimate relationships with men?" 3. This question is from me [Susan]. Do you think that one of the reasons President Obama won this election could possibly be because he was perceived to have more of the kind, caring feminine qualities that you speak of? 4. This question is from Vermont: "While most people believe that we have the freedom to choose, there are some brain scientists who suggest that we actually do not. They say that programmed, or conditioned thinking from an early age has set into motion the unconscious mind to decide for us before we are consciously aware of our choices. Additionally, there are others who believe that everything is already set into motion from the Big Bang theory and all we need do is to watch life emerge, enjoy the illusion of physical perception, and go with it. In a personal Reading for me you suggested that I rise up and take authority over my thoughts and feelings, presumably to extricate myself from the negativity I was focusing upon. Would you speak to us about our freedom to choose?" 5. This question is from Minnesota: "In a personal Reading you said that someone did not have a spiritual experience but that it was a psychic experience. Would you explain the difference between the two?" 6. [Susan] This makes me think of something I'd like to ask. Ron and I feel often that we read each other's minds. Is it because after so many years we share physical cues? For example, we might see something and it reminds us of something that's familiar to both of us so we mention it and often say to each other, "Oh, you picked my brain." Is it the physical cues, or is there actually psychic energy flowing between us that we can tap into, or do tap into? 7. This question is from Minnesota: "Would you give us some inspiration from the Christmas story to make the upcoming holiday season more meaningful for us?" 8. Would you close with an attunement for us to use this month?